This week for Photo of the Week, we would like to feature an amazing vortex star trails photo with an added addition of light painting. Combining different layers through Adobe Photoshop CC, this photo required separate techniques to create this amazing composition. The ordinary long exposure of the night sky was combined with an additional exposure involving light painting. 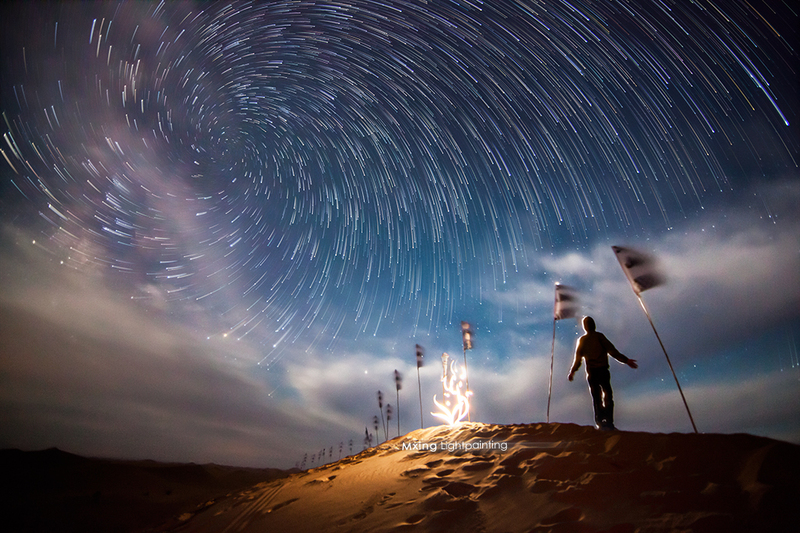 To create the vortex star trails affect, the photo was processed through the use of Adobe After Effects or a separate program such as LRTimelapse.